This months’ bellydancing column is about Tamar, the director of the Giza School in SLC. [Tamar]Middle Eastern dance or belly dance, is considered to be a derivative of some of the world’s oldest known dance forms. Middle Eastern or Oriental dance is a multi faceted art, and the term, belly dance, applies to several different forms of the dance such as, Egyptian cabaret, American classic, American tribal, or folkloric. Like our folk dances, there are traditional dances from the Middle East that come from the people or tribes of the various countries and have been handed down through the generations. These dances are usually performed in the regional costumes and reflect the daily lives, joys, and sorrows of the people. These dances are also the foundation of what we refer to as belly dance. Tamar’s belly dance experience began in New Orleans, where she danced every weekend for 15 years. She studied with some of the greatest dance teachers including, Bobby Farrah, Dee Birnbaum or Zenia, Mahmoud Reda, the Fred Astaire of Cairo, and Ferida Fahmy. Tamar moved to Salt Lake City in 1997. She saw a need for a more folkloric focus in our dance community, and created the Giza School. Her new troupe, Cartouche, is busy learning traditional Khaleggi, Nubian, ghawazee, Saidi, baladi, and Persian dances. Tamar is the director and choreographer for the troupe, which is comprised of seven women and one man. The Giza School currently has 12 students plus her new troupe. Tamar juggles her love of dancing with full-time work and a full-time mother. 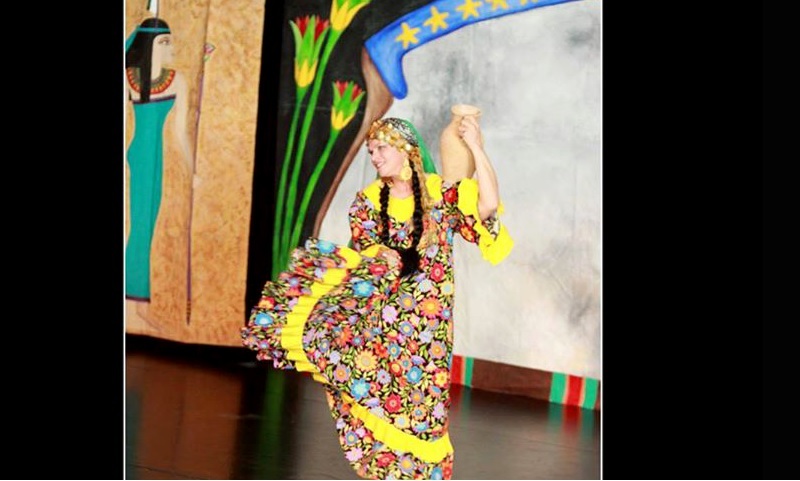 Her desire for the future is to travel to Iran, Egypt, and Turkey and study the dances first hand. In the meantime, she actively researches the traditional dances, watches videos, and attends local workshops when possible. I saw the Giza School dance last March, at Spring Fest. I was enchanted with the colorful, vibrant, and lively presentation. I especially loved watching the traditional aspect of Middle Eastern dance being presented. Variety will keep our belly dancing venues interesting, fresh, and attractive to the public. Thanks, Tamar, for your contribution. Tamar’s troupe, Cartouche, will debut at Spring Fest 2005 and is scheduled to perform at Thia’s June show.